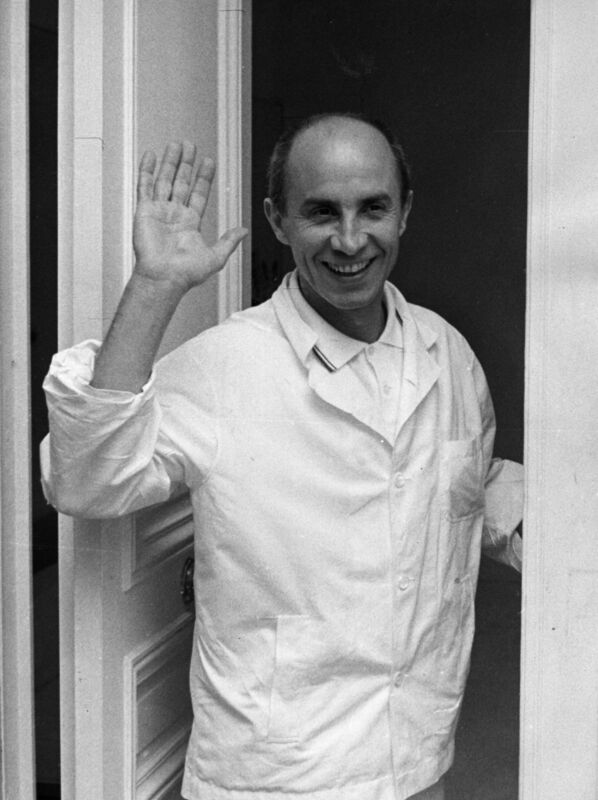 André Courrèges passed away yesterday at the age of 92 in the Paris suburb of Neuilly-sur-Seine after battling Parkinson’s disease for 30 years. The designer was known for revolutionizing fashion in the ’60s with his futuristic, geometric silhouettes based on squares, trapezoids, and triangles. The look debuted in his 1964 Space Age collection, which also included accessories like boots and goggles, and knee-grazing hemlines. He is considered a pioneer of the miniskirt, alongside designer Mary Quant. Prior to founding his label in 1961, Courrèges worked for Balenciaga for 10 years starting in 1948. Before that he worked for designer Jeanne LaFaurie starting in 1945, just after his career as an Air Force pilot during WWII. Courrèges stopped working in the ’90s and appointed designer Jean-Charles de Castelbajac to carry on his legacy. After just two collections under de Castelbajac, who left in 1994 to focus on his own line, the creative reigns were turned over to Coqueline Courrèges, André’s wife. Coqueline and André eventually sold the company in 2011 to Jacques Bungert and Frédéric Torloting, and in May 2015 young design duo Sébastien Meyer and Arnaud Vaillant (both in their mid-20s) took over the design to critical acclaim.